Orchidmate is an orchid supply business from San Jose, CA. We specialize in wood orchid baskets. We are proud to have the best wooden basket collection in the US. We do both wholesale and retail. We love to collect and grow orchids too. Our owner Tony is the past vice president of the Santa Clara Valley Orchid Society. Our private orchid collection includes many beautiful Laelia anceps and Cattleya orchids. Here is the gallery of orchids in our private collection. Our goal is to bring you the best orchids and orchid growing supplies in the market. How do we do it? Unlike other orchid supplies we design and manufacture the wood orchid baskets ourselves at our facility in Vietnam. This allows us to guarantee you the lowest price and the highest quality. Our round wood basket is considered the most unique and beautiful one in the market. The orchid divisions for enthusiasts are from our private orchid collection. They all have been bloomed by ourselves previously. Most of them have been tested for viruses. Our Potmate – packing device for potted plant – is designed to help prevent damage to potted plants during shipment. It is proven to be useful for shipping orchids include blooming ones. We also have wire hangers, coconut husk fiber and horticulture charcoal with the best price. Several orchid supply products as plastic orchid pots, wire baskets are currently under development at Orchidmate. Thank you very much for visiting our website! And stay connected with us on Facebook. When were the round wood baskets first used in the US? 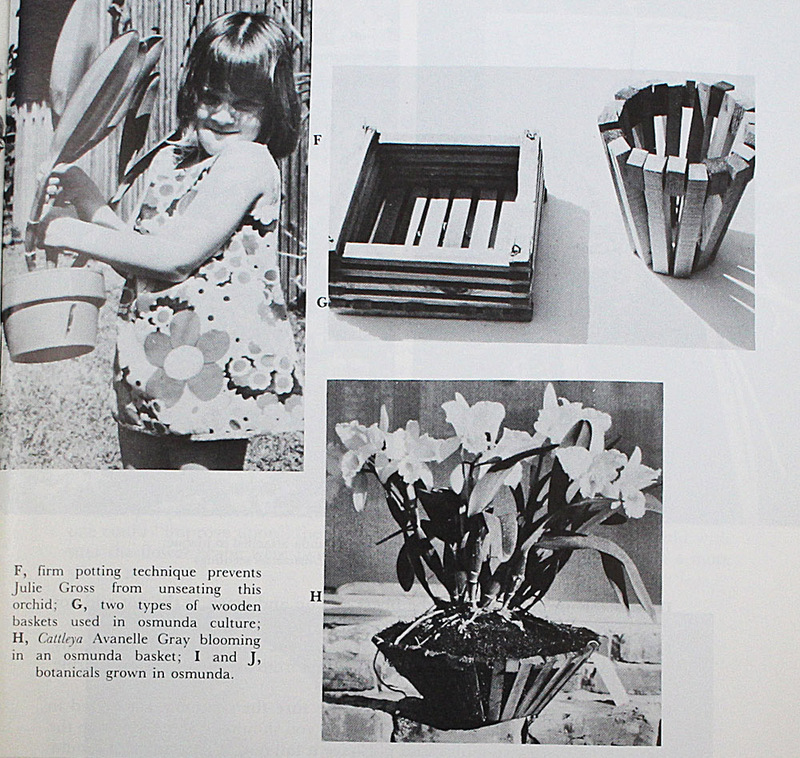 A: Orchid lovers have been building and using round wood orchid baskets for a long time. Attached picture is taken from an AOS magazine issued in 1973. However, round baskets have not been commercially available in the US before, mainly due to the manufacturing cost. At Orchidmate we are proud to be first one who offers the baskets to you at very reasonable prices.